The Glass fronted lift and stairwell at Adeliade Airport . I took this shot handheld very high ISO 6400 so there is a bit of noise. 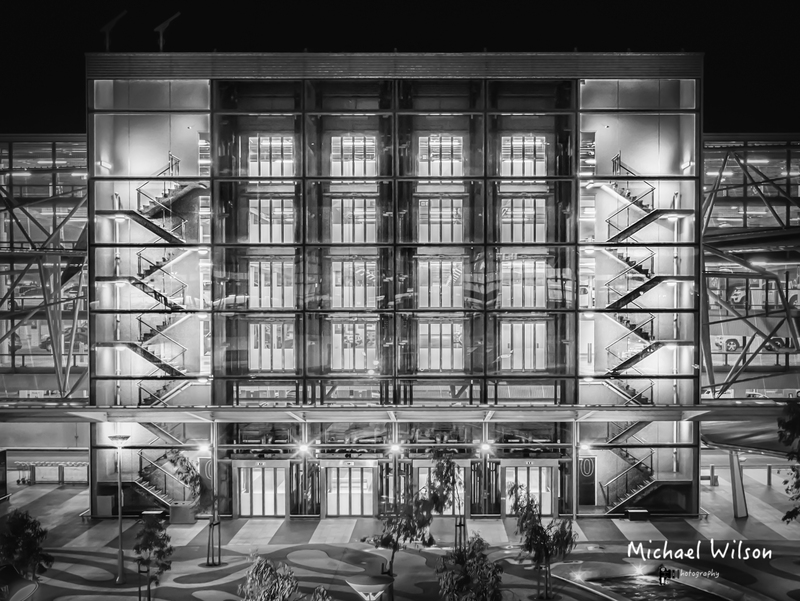 This entry was posted in Photography and tagged Adelaide, Adelaide Airport, Adeliade Airport, Airport, architecture, black & white, Lightroom, Monochrome, Photography, principal airport, Silver FX Pro, South Australia, transportation. Bookmark the permalink. Wow, I’ve never seen it look like that before! !